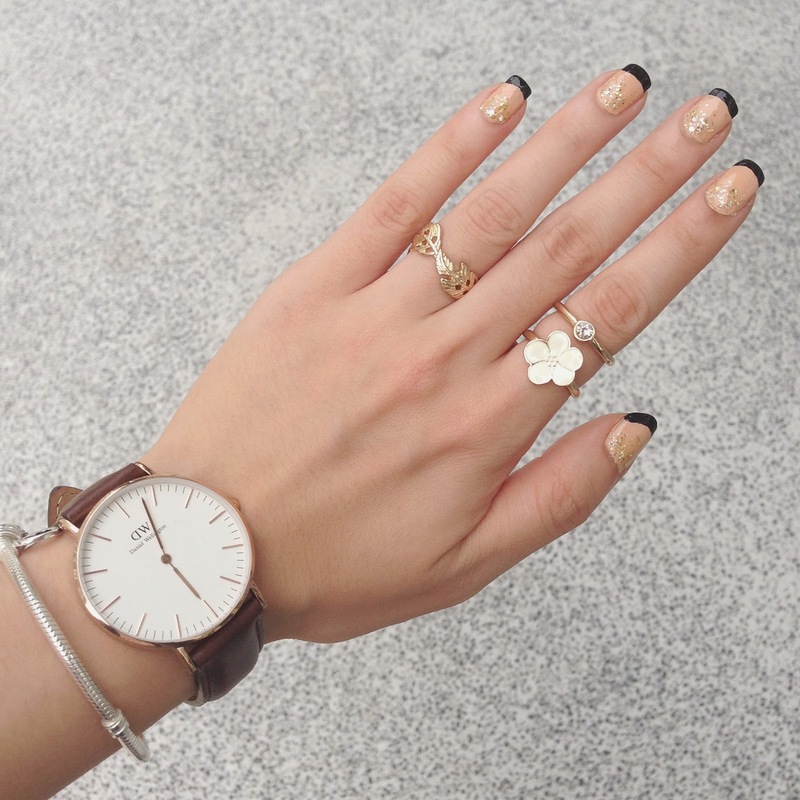 In my previous nail art post, I was raving about my new Daniel Wellington watch and so here are more pictures of it! I got the Classic Bristol Lady but I love pretty much all of the other straps they have. I was actually going back and forth between the different shades of brown but I chose the darkest brown eventually cos it is close to black but it is also close to brown ;) Anyway, I chose the leather strap over the NATO straps because I've seen NATO straps get dirty with wear and that isn't a very nice sight. Leather is easier to keep clean and dirt isn't obvious on the colour that I chose. 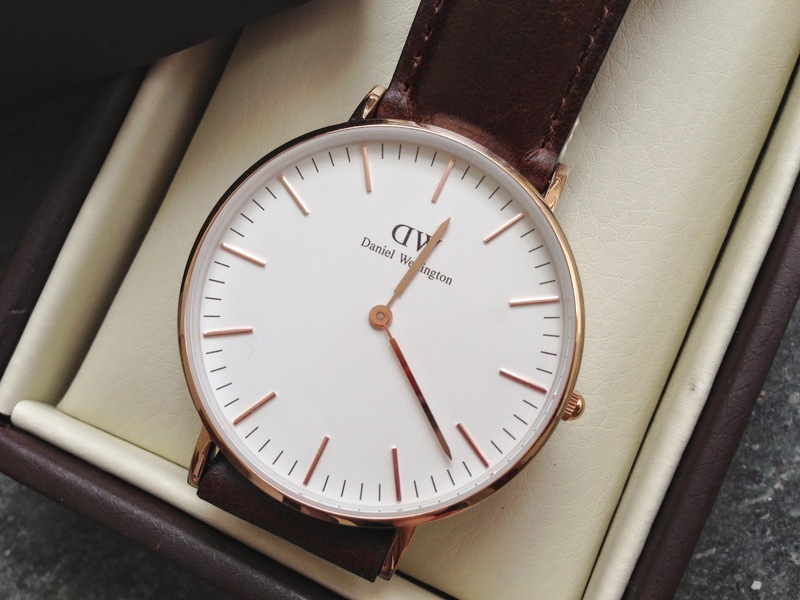 The story behind Daniel Wellington begins with a trip half way around the globe where Filip Tysander, the founder of Daniel Wellington, met an intriguing gentleman from the British Isles. The man had the inspiring ability to be genteel but still relaxed and unpretentious. He had an impeccable style and loved to wear his watches on old weathered NATO straps. His name? 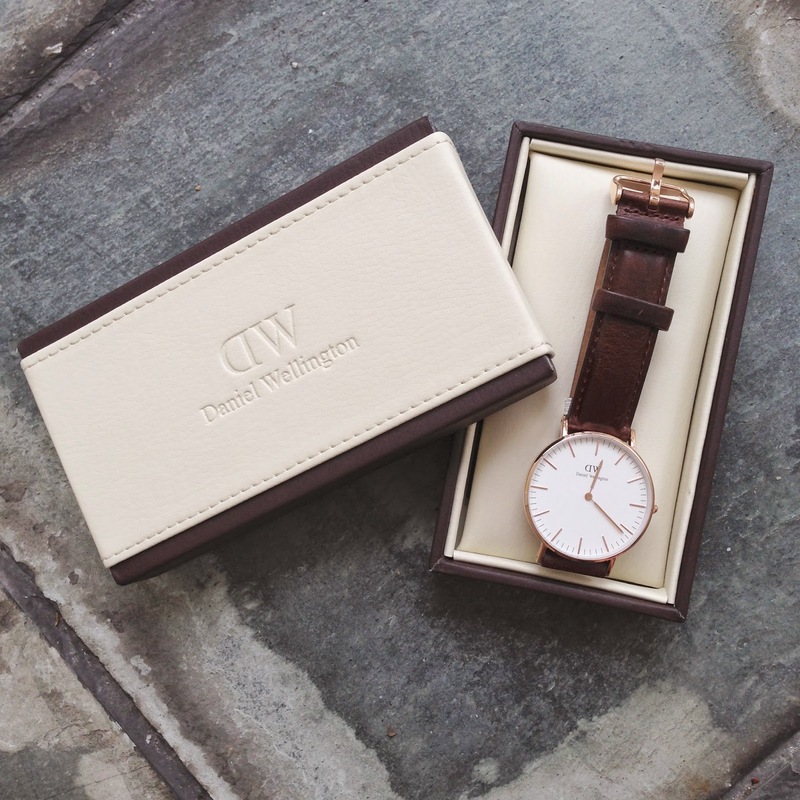 Well, Daniel Wellington, of course.A strong friendship emerged between the two, and our founder was inspired not only by the man's many great life stories but also by his class and timeless style of fashion.The preppy trend is bigger than ever before but we felt that there was an empty space in the watch market. 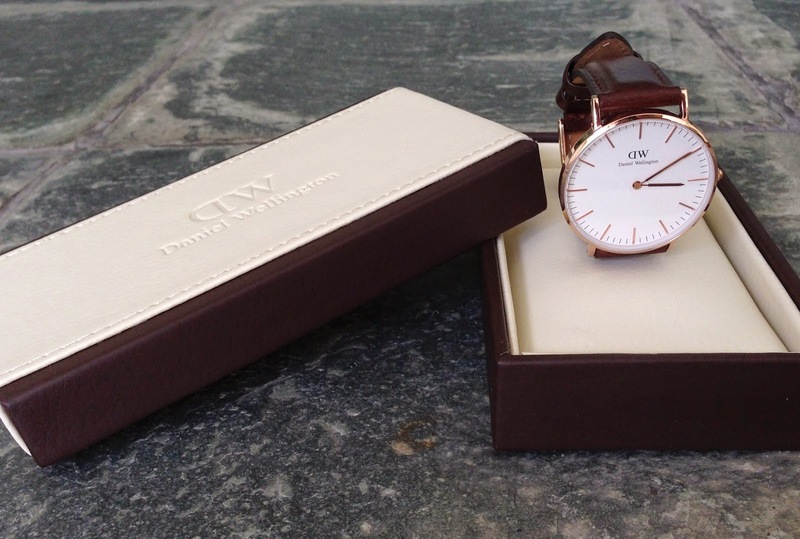 There was something missing and the Daniel Wellington team aims to fill that gap.Our vision is that when someone thinks of a preppy dressed person, he or she is wearing a Daniel Wellington watch.When Filips line of watches then came to be launched, it was therefore no insecurity that the brand would be named after Daniel Wellington. So now you know that the founder of the brand is not named Daniel Wellington. I like the classic design of the straps the watches come in, plus the design of the watch face is so simple and minimalistic that it gives off that English vibe. It is seriously a picture perfect watch that goes with any outfit and suits any occasion. So, do invest in the watch because you can really wear it out everyday and I'm sure people are bound to compliment you for it. A cool feature of the watch is that the straps are interchangeable. There is a pin that comes with the watch (quite like the iphone pin) that you can use change the straps so you can buy extra straps from the "Accessories" section. I haven't tried this yet and I'm not quite sure how it goes so I suggest finding some videos before doing it on your own. I chose a Rose Gold face as well but Silver is just as pretty. I just figured that since I have so many golden rings, I might as well match it with a golden face. But I've worn it with my silver Pandora bracelet and I think it still looks fine together. There is no second hand on the watch as you can see and the watch doesn't make that annoying ticking sound so that's quality in a wrist watch! The watch is thin and lightweight so you might even forget you are wearing one on your wrist! And this is how the back of the watch looks like, if you are curious. The straps are made of genuine leather and the clasp fits real tight and snug so creases along the straps at the holes are normal, although I don't really like it too. Finally, use the code "chee15" for 15% off your purchase until 15 Oct 2014! Grab all the straps you want and grab a watch because free shipping is given with purchase of any watch! I love mine to bits and I'm sure you will love yours too.